The senior club championships start on Wednesday week, the 2nd of July. We’ve had strong interest, which is great to see, and we’re now looking to tie down confirmed entries. To confirm your entry, post here or get in touch with me by phone or e-mail. I’ll try to contact everyone on the interested list in the next few days anyway. If you require a bye due to holidays, please let me know as soon as possible. We’ll do all we can to avoid players having two byes in the tournament, but if you get a genuine bye in round 2 and then realise you won’t be around for round 4, there’s not much we can do! There are gap weeks in the schedule so we can try to push games forward or back a week if possible (and if it suits both players) to reduce the number of byes. Games are at 7:30pm on 2nd, 16th and 30th of July, and 13th and 27th August. We’re aiming to ensure an even number of players in round 1 to reduce the number of byes, by inviting a junior rated under 1100 if necessary. So we’d ask for all entries to be confirmed by 29th June where possible, so we can arrange an even number of players and publish the first round draw. The competition rules are as per the above link. It has been decided the tournament will not be rated. 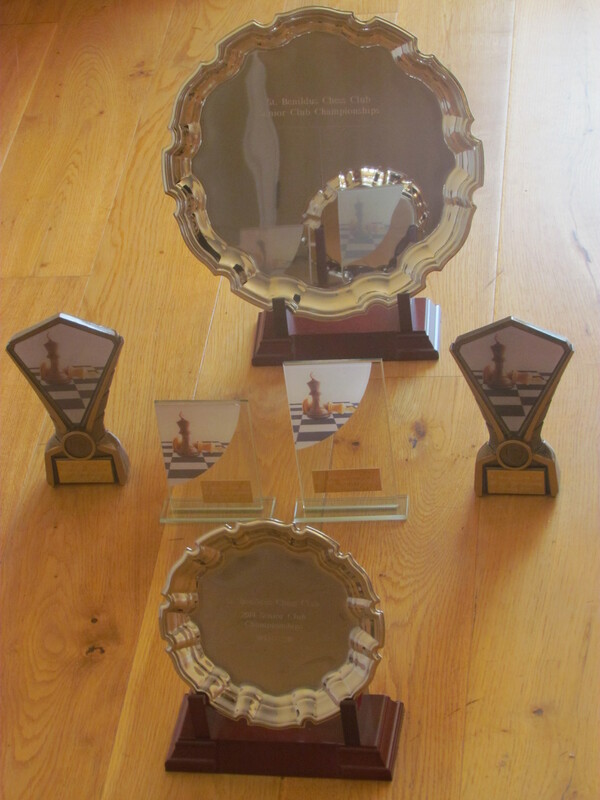 We would bring to everyone’s attention the entry fees – €10 for this year only to cover the perpetual trophy. We also ask that any unpaid club/ICU fees from the season just gone be paid up and that any players who didn’t pay club fees this year (mainly those who didn’t play leagues) pay club fees (but not ICU/LCU fees). The general plan in future years is that club fees will always include free entry to the club championships, so it’s only fair to contribute if you want to play! As anywhere, entry is deemed to constitute acceptance of the tournament rules. The club’s 14 new DGT2010 clocks, courtesy of Dún Laoghaire/Rathdown County Council, have arrived, so players will not be required to bring clocks. A pen is all you’ll need! If any of the final round of World Cup group games sees five or more goals, the top seed will have white in round 1. I just found out Im not actually away till the 3rd so i can play in the first round. Just as well you said that! Want to get an even number in the first round, so that makes a big difference!